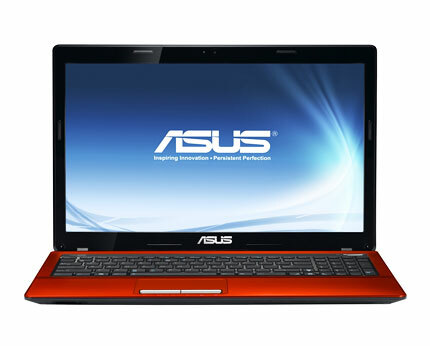 You can’t mix business with pleasure – that’s what an old saying states; let the Asus A53E-SX1339S prove otherwise. 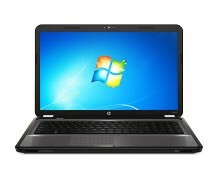 Powered by a second generation Intel® Core™ i7 processor, this laptop will get the job done, no matter what that job is. As for the pleasure part, the red finish will make it stand out from the crowd wherever you are, transforming the common task of using a laptop to a special experience. You can buy it for £499.97 from currys.co.uk. Some laptops impress by their design, others by their performance; the Asus A53E-SX1339S is a laptop that will impress you by both. It’s simple yet attractive design distinguishes itself due to the combination of red and black. The red coating makes an interesting contrast with the black of the keyboard and the display frame, making the laptop stand out in an elegant way. What’s more impressive is what’s under the hood. 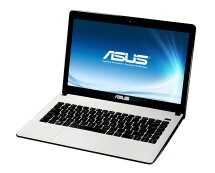 The Asus A53E-SX1339S is powered by one of the most powerful processors of the moment – the Intel® Core™ i7-2670 QM. Running at a frequency of 2.2 GHz that gets boosted to 3.1 GHz when needed, thanks to the Max Turbo function, this quad-core processor is capable of taking on even the most demanding applications. The Intel® HD 3000 Graphics chip integrated in the processor is responsible for handling the graphics, while the 6 GB of DDR3 RAM ensure a smooth multitasking experience. 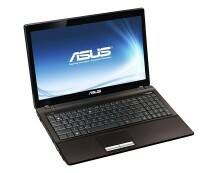 Don’t let the somewhat sober look of the Asus A53E-SX1339S fool you because this laptop is not only for work. 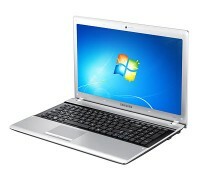 Features such as the integrated 0.3 megapixels webcam or the 4-in-1 card reader make it a multimedia centre. The integrated HDMI port is very useful if you find the 15.6” LED display of the laptop not big enough and you want to connect the laptop to a Full HD monitor to see the big picture. Besides that, you can also connect various other peripherals via the 3 USB 2.0 ports. The wireless 802.11 b/g/n adapter complete the connectivity options, making connecting to the internet wirelessly as easy as it can get. It’s a known fact that laptop speakers are not very good when it comes to sound reproduction. Thanks to the integrated Altec Lansing speakers, this is not the case of the Asus A53E-SX1339S. You can now enjoy your favourite music or movies with a decent sound. Speaking of music and movies, you can store plenty of them on the 500 GB SATA hard drive and, if you ever run out of space, freeing up some space is easy thanks to the Super Multi DVD burner. The Asus A53E-SX1339S weights only 2.6 kilograms, being easy to carry around and, thanks to its Li-ion battery, it can run for up to 3.5 hours – enough to let you get your job done. Making your job easier is the 64-bit Windows® 7 Home Premium operating system and the pre-installed software such as Microsoft Office Starter Edition, Trend Micro Antivirus or Emusic, allowing you to get productive or entertained right out of the box.